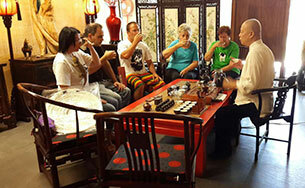 Traditional Chinese Tea Ceremonies plays a major cultural role in China, it inspires poetry and songs trough lifelong friendships. For centuries, the tirual of preparing and serving tea has held a special place in the hearts and minds of Chinese aristocracy, court officials, intellectuals and poets. The Chinese Tea Ceremony emphasizes the tea, rather than the ceremony, what the tea taste and smells like compared to the previous tea in successive rounds of drinking. Ceremony doesn’t mean that each server will perform the ritual the same way and it is not related to religion. Each step is meant to be a sensory exploration and appreciation all performed in very relaxed environment with the right atmosphere. 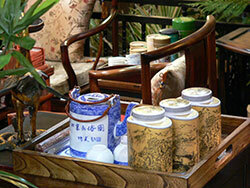 The Tea Ceremony is a way to focus mental energies to relax and to enjoy a tradition that is very ancient. 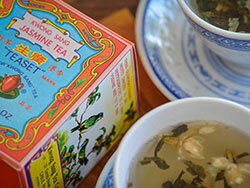 In addition to just being a drink, the tea is used in traditional Chinese medicine and cuisine. One can experience a Traditional Chinese Tea Ceremony using only high grade teas with Tea Master Patrick (co-owner of Norick Interiors) who qualified and mastered the art of making tea over the past 20 years. For further information please contact Norick interiors Johannesburg.